I really enjoyed this story, especially because of the rich atmospheric scenes. As a reader, I really felt transported to the little lake community with its local legends and secrets. The story has a little bit of everything: mystery, suspense, coming-of-age, guilt, and regret. The story takes place in a mostly secluded lake community, where 12 year old Caroline’s family has been coming each summer for years. 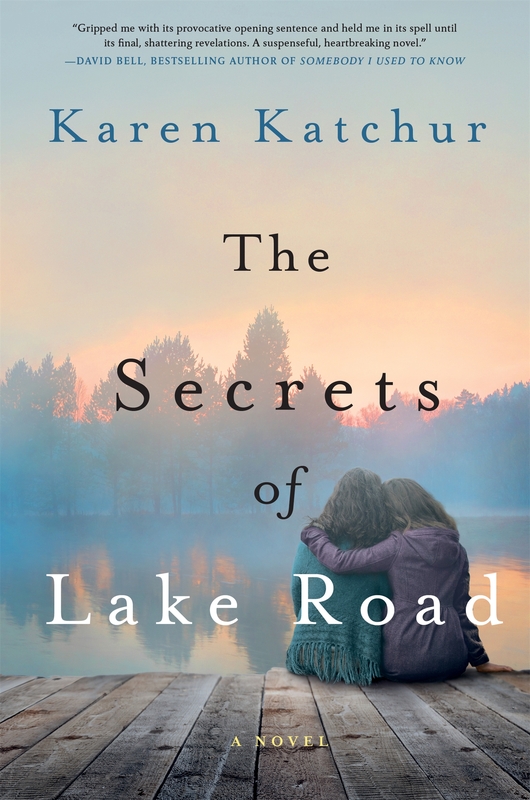 Caroline, as well as her 16 year old brother Johnny love the lake, but their mother, Jo, doesn’t stick around because the memories from her troubled past at the lake are too vivid. When Jo was 16, her boyfriend Billy drowned, and his death was deemed an accidental drowning. Only Jo, and her husband Kevin, who was Billy’s best friend, know the truth. Caroline tries to ignore her mother’s aversion to the lake, and enjoy a summer of relaxation and stealing glances at her brother’s cute best friend, Chris. Her brother Johnny spends his days hanging at the beach Pavilion, chatting up young girls who fall all over themselves for him. When a seven year old girl, Sara Starr, goes missing from the beach, all the old lies & secrets threaten to surface, while rescue workers search the lake for Sara’s body. When a human bone is brought up from the bottom of the lake and is found to belong to Billy, the investigation surrounding his death starts up again, with help from Billy’s older sister Dee-Dee, who will not rest until she finds out the truth. Now that the investigation is opened up again, the tension between Jo and Kevin builds as well. Does Kevin know more than he is letting on about what really happened to Billy? As it turns out, Sara’s mother, Patricia, spent her summers growing up at the lake. She claims to have been there the night Billy drowned. What does Patricia know; and will she come forward with information while her own daughter is missing? The author does a fine job of creating tension lines between the characters so that at any second, one could break. Caroline feels estranged from her mother, and she knows Jo is running from something. She is determined to figure out what, but also determined to find Sara, as she was one of the last ones to see Sara alive that day on the beach. The family drama of three generations of women is an interesting dynamic of this novel. Caroline, her mother Jo, and Jo’s mother, “Gram,” each have unique personalities and attitudes toward the lake. When those personalities and attitudes clash, doors slam and more cracks in their already unstable relationships form. What will it take to bring the family back to a sort of peace again? You’ll want to read this one. The plot twists keep coming until the very end, and the story will stick with you long after you finish reading. I received a signed copy of this book in a contest. I was in no way compensated, or asked to provide this review. I saw a lot of early buzz about this book, so I decided to give it a try. It’s not normally the type of YA fiction that I would read or enjoy, but I did enjoy this story quite a bit. It reminded me a little bit of We Were Liars by E. Lockhart as well as a little bit of All The Bright Places by Jennifer Niven. The story follows siblings Cara and Alice, as well as their ex-stepbrother Sam (who is Cara’s age), and Cara’s best friend Bea the summer that Cara, Sam, and Bea are 17. Every October, which is refereed to as “accident season” in their family, unexplained accidents happen, some more serious than others. Cara’s father and her Uncle Seth both died during an accident season, and Cara, Sam, and Alice seem to develop more cuts, scrapes, and bruises than normal during the season. 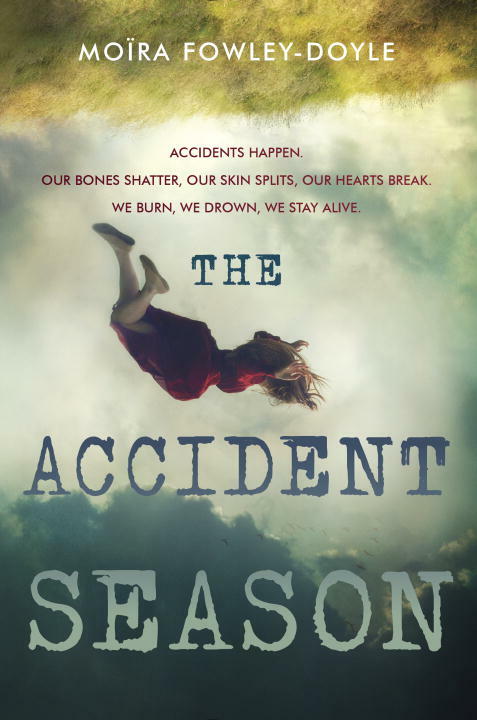 This October, Cara and Sam are determined to find out the truth behind the so-called accidents, and they are about to uncover some long hidden family secrets. With secrets, there is always pain for someone involved, and in this story it will be no different. The story includes a bit of romance that is considered taboo and forbidden. Forbidden romance always makes for a good story line, in my book! I really got sucked into the story, due to the way the characters are portrayed. The author did a great job with character development and demonstrating the strong bonds of family and close friends. I wouldn’t consider this a cliche or too immature YA book, and therefore I do think other adults like me would enjoy it. Give it a try.